A Colorado man was convicted of first-degree murder on Monday after prosecutors say he fatally shoved his wife off a 128-foot cliff in Rocky Mountain National Park in order to collect millions of dollars in insurance money, Buzzfeed reports. Prosecutors also asserted that Henthorn scouted the park nine times before the day he allegedly shoved his wife off the cliff. He had marked a map with an “X” on the location where she fell, prosecutors said. Federal prosecutor Valeria Spencer noted that the death of Henthorn’s second wife was “eerily, creepily” similar to that of his first wife, who was crushed by a car while changing a tire in 1995. 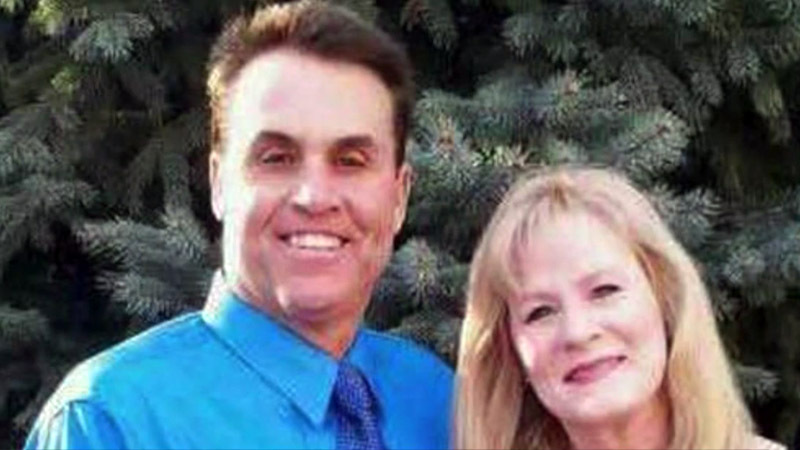 The death of Henthorn’s first wife was eventually ruled to be an accident, but that case has now been reopened, KDVR reports. According to NBC News, it took the jury only 10 hours to find Henthorn guilty of murder. He now faces a mandatory term of life prison when he is sentenced in December.